Sooooo, it’s Sunday night, I’m freezing even though I’m sitting in front of a heater, the oldest songs of my childhood are blasting (hello Backstreet Boys and S Club 7), and I’m hating all of the pictures I have for this dish… except for the ones in which the dish hasn’t been cooked yet. Please, just trust me on this one. The stew is good. 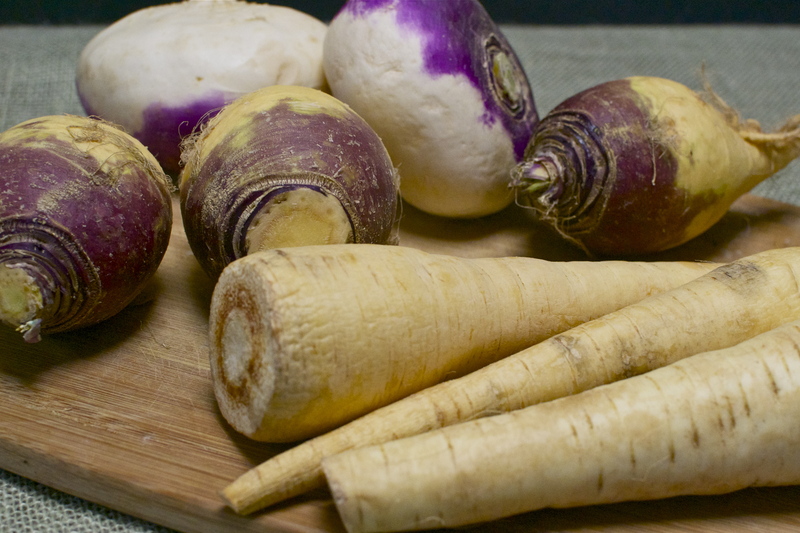 It’s really good, and that’s coming from someone (me) who isn’t the biggest fan of turnips and parsnips and rutabagas. Somehow all these veggies come together to form a hearty, warming dish that would go great with just about any meat. We had it with steak, and it was delicious. Told ya. So since we got that out of the way, let’s talk about what’s really on my mind. WHY IS IT SO DARN COLD?! Ugh, I can’t stand it! I know that’s what happens in Winter, but I’m just not ready. I’m not ready to bundle up every time I go outside, I’m not ready to feel like an ice cube until the car heats up, and I’m not ready to have cold hands. No, no, nooooo. Not yet. Since the seasons don’t seem to care what I’m not ready for, I think it’s time for a nice, hot bowl of comfort. and root vegetables. Heat ghee in a large dutch oven (or other heavy bottomed pot) over medium heat. Cook the onion about 5 minutes, then add the garlic, sage, and rosemary. Cook about a minute, stirring to prevent burning, and then add the diced veggies, chicken stock, and 2 cups water. Bring the whole pot to a boil, and then reduce to a simmer. Cook, covered, about 20 minutes or until veggies are tender. Place about 3 cups of the stew into a blender, place a towel over the top instead of a lid, and blend until smooth. Return to pan. Add the salt, pepper, smoked paprika, and coconut milk. Stir, and simmer a few more minutes. Serve! This looks amazing! Seriously great recipe, book marking this for once it’s a bit colder outside. 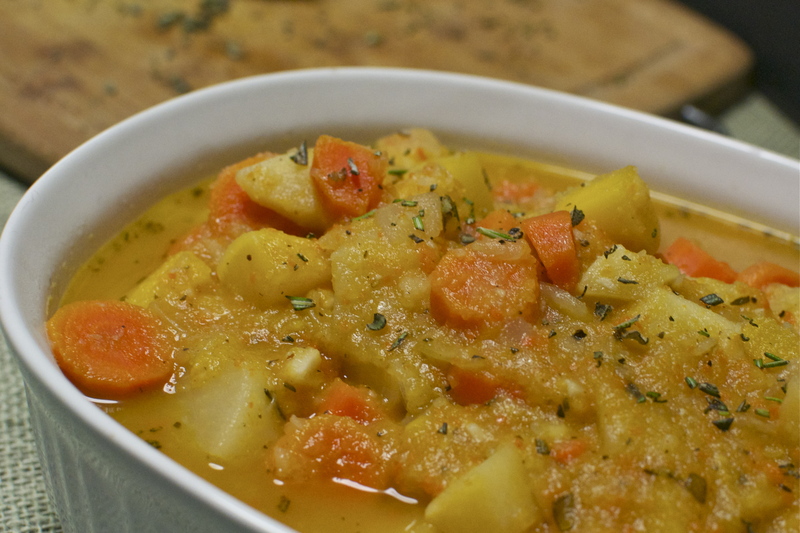 Stew is definitly one of the best “chilly weather” dishes out there! mmm, looks nice, will try! So, why do you cover the blender with a towel instead of the lid? 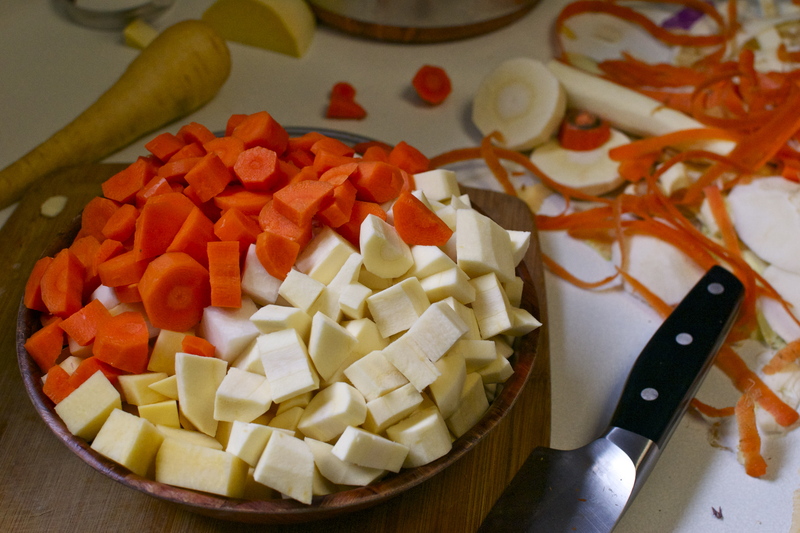 Also – you blend three cups of the stew, and then pour it back in with the rest of the non-blended stew. Is that right? Thanks so much – it looks YUMMY! if you blend super super hot things without allowing the steam to escape it could explode! yes that’s right 🙂 blending half helps it give a creamy smooth texture while still allowing some chunks ! Thanks so much!